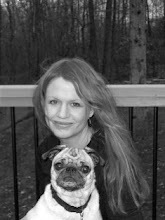 A nice review from Tanya Turgeon from Fetchdog.com, your one-stop shop for all things dog! I really enjoyed reading this review...it was different than many others in that it really explained the role of an animal control officer and clarified the differences between the vision people have in their minds, and what a "dog catcher" really does. Thanks Tanya, for a great , incredibly well written and articulate review. Tanya should think about writing a book...she definitely has the chops! If you check out her website above, you'll see that this is a multi-talented young woman who can not only write, but also acts, models and even performs in a circus! She's done some work for the Big Apple Circus, which has its headquarters right down the road a bit from my house! It's a small world. You can read the review below or here, for the direct link to the Fetchdog.com blog. The words "dog catcher" conjure in my mind a cartoon stereotype of a middle-aged awkwardly burly mustachioed man in khaki shorts and matching button-down short-sleeved shirt wielding an oversized butterfly net. He is constantly warring with the neighborhood dogs who always end up oustmarting him, a la Heathcliff or Lady and the Tramp. 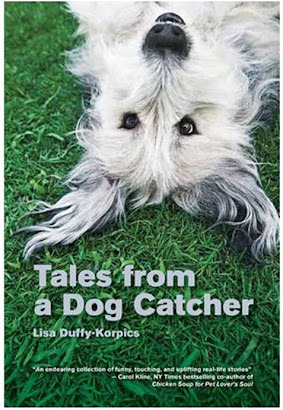 I have since been educated by Tales from a Dog Catcher, written by former Animal Control Officer Lisa Duffy (now known as teacher and author Lisa Duffy-Korpics), who turns out to be the farthest thing from male and burly. Curious if the difference between a "dog catcher" and an "Animal Control Officer" had to do with age, gender, size, and demeanor, I consulted my old faithful friend Wikipedia who informed me, "Gone are the days of the big bad dog catcher. Today Animal Control Officers focus more on educating the public on proper animal care, and rescuing animals from dangerous or abusive situations." Apparently my mental image was simply out-of-date. Relative to the book, this statement should appear in bold on the cover, that's how precisely it summarizes the experiences of Lisa Duffy. The stories are quite self-sufficient and a few have already been featured in some of the Chicken Soup books, which is an indicator of the tone they take. As the antithesis to the old school dog catcher, ACO Duffy is most often armed with soothing words and dog biscuits as she saves animal after animal (including an endearing one-legged duck), empathizing wholeheartedly, and often being brought to tears by situations beyond her control. If some of the animal encounters are odd, like a flock of turkeys marching down a steep embankment toward a busy roadway, the human confrontations are more so. One woman is told to feed and water some kittens, so she of course pours water all over them. Another insists on putting down a perfectly healthy Schnauzer so he can be buried with his owner, her recently deceased uncle.The only enemies in Duffy's life are negligent and abusive owners, who are reponsible for frustrating and often heartbreaking circumstances. While I expected more nit and grit from such an insider view, I respect the realistic and honest writing. Besides who am I to judge when I so thoroughly misconceived the role of a dog catcher at the outset? At one point, ACO Duffy tenderly pets a beautiful German Shepherd whose life of abuse has led directly to euthanization. "You're misunderstood," she says. So it seems has been the role of the dog catcher.